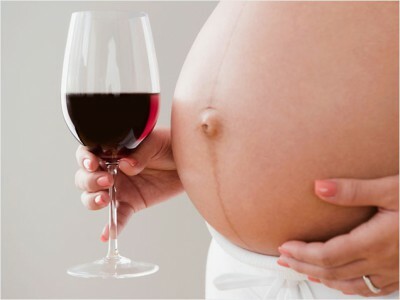 Children born to women who drink moderately during pregnancy are no more likely to have cognitive or behavioural problems than those of abstainers, a new study has found. This study, reported in BJOG, An International Journal of Obstetrics and Gynaecology, put together data from the Millennium Cohort Study, a national study of 10,000 infants born in the UK between 2000-2002. The study assessed whether light drinking – defined as to two units of alcohol or the equivalent of on 175ml glass of wine per week – in pregnancy was linked to unfavourable developmental outcomes in seven-year-old children. Researchers from University College London used information on over 10,000 seven-year-olds, looking at their social and emotional behaviour as well as their cognitive performance in maths, reading and spatial skills. Their parents and teachers were also surveyed via questionnaires. A Brown Stink Bug Nymph. 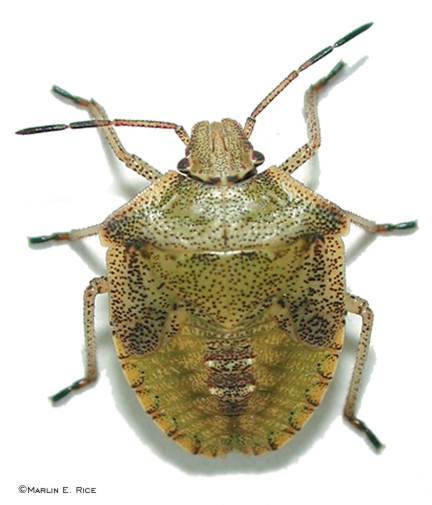 The brown marmorated stink bug (BMSB) is now in at least 39 states and is a major economic threat to orchard fruits, garden vegetables and row crops. But help may be on the way: USDA scientists at the Agricultural Research Service (ARS) Invasive Insect Biocontrol and Behavior Laboratory in Beltsville, Md., are searching for ways to control the stink bug by deciphering its genetic toolkit, studying the pheromones it releases, and evaluating potential attractants for use in commercial traps. ARS is the USDA’s principal intramural scientific research agency, and this research supports the USDA priority of promoting international food security. Down to one glass per day! French wine consumption has fallen to a new low with the average adult now consuming the equivalent of barely a glass a day, the latest edition of a major consumption survey has found. A study that will have viticulteurs weeping into their vats also revealed that fizzy drinks and fruit juices are gradually pushing wine off the nation’s tables. Fewer than one in five French adults now drink wine almost every day as health concerns and a sluggish economy maintain a long-term pattern of sharply falling consumption, according to research carried out every five years for the ministry of agriculture.